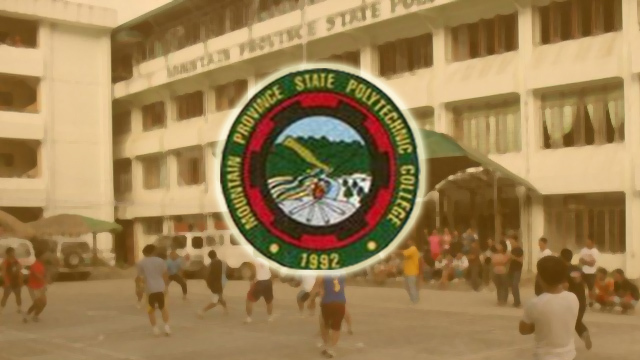 PARACELIS, Mountain Province – Congressional candidate Allen Sumeg-ang Ocden vowed to immediately file the appropriate legislative measure that will establish an independent campus of the State-run Mountain Province State Polytechnic College (MPSPC) to be based in Paracelis town focusing on the agriculture-based curriculum that emphases a combination of upland and lowland agriculture. Ocden, a retired officer of the Philippine National Police (PNP) who spent the remaining eight months of his active service as provincial director of the Mountain Province Police Office, said that Paracelis town is the most feasible area in the province where agriculture can be aggressively promoted and realized because of the availability of vast racks of land that could be used for various methods of food production and ensure the food security of the province. Earlier, stakeholders have been clamoring for the establishment of an independent MPSPC campus in Paracelis that will focus on the development and promotion of agriculture in this landlocked province. The former police official said the infusion of programs and projects in Paracelis to develop it as the province’s food basket will be one of the major priority initiatives included in his legislative agenda, aside from enhancing the higher education institution’s curriculum geared towards advancing agriculture in Mountain Province. “We cannot discount the growth potentials of Paracelis because of the availability of land assets for productive purposes, especially food production, that can trigger improved economic opportunities for the people, increased sources of livelihood, and food security for the province, thus enhancing the well-being of the people in the different barangays, but also of the whole province,” Ocden stressed. The aspirant for the province’s lone congressional post underscored it is important for concerned government agencies and the local governments to maximize the growth potentials of the different municipalities, especially on ecotourism, agriculture, and others, to bring about balanced development opportunities in the different parts of Mountain Province with emphasis to be given in striking a balance between growth opportunities and efforts to preserve and protect the province’s state of the environment. According to him, leaders of the province must have the vision and sincere desire to advance the growth and development in the different towns by maximizing available resources and with the appropriate linkage with concerned government agencies for the provision of interventions to improve existing economic activities. Mountain Province is one of the better-forested areas in the Cordillera, located in the central part of the region composed of ten municipalities with identified western and eastern towns. The western towns of the province are Bauko, Tadian, Sabangan, Sagada and Besao while the eastern towns are Bontoc, Barlig, Sadanga, Natonin and Paracelis. The province will be celebrating its 52nd founding anniversary on Sunday, April 7, 2019 when the division law that subdivided the whole Mountain province was enacted.